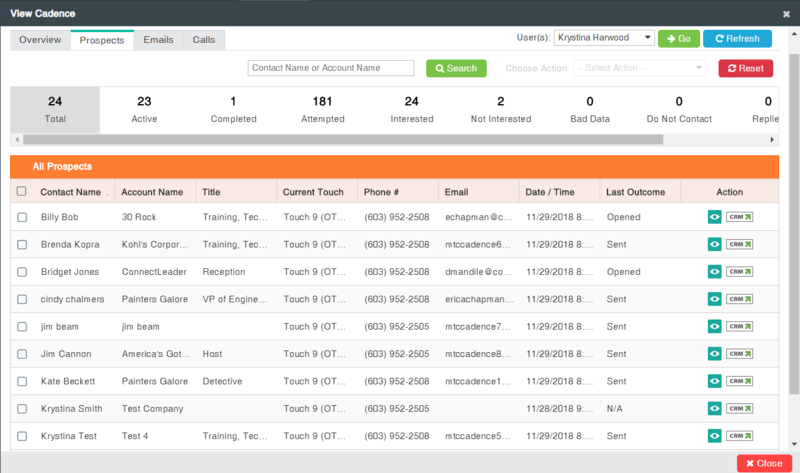 ConnectLeader is a Sales software used to prioritize leads and sequence engagement via phone, email, and social media. 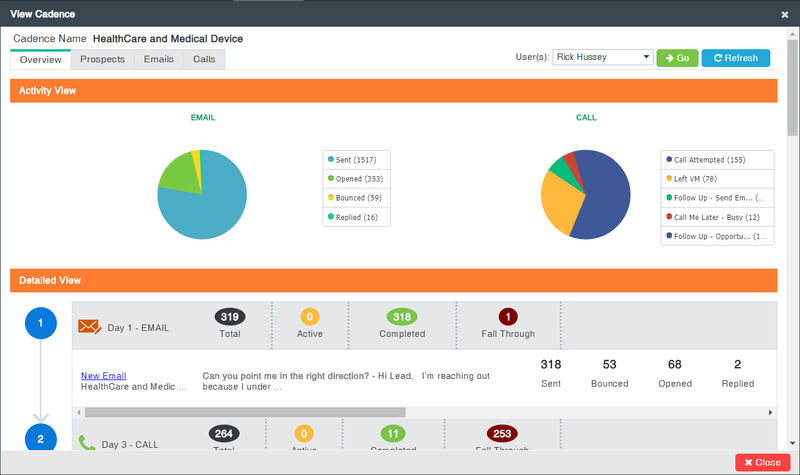 The software offers TruCadence used to engage leads across multiple communication. Sales Dialing Products for a specific type of sales dialer. Inbound Leads Routing for taking action. 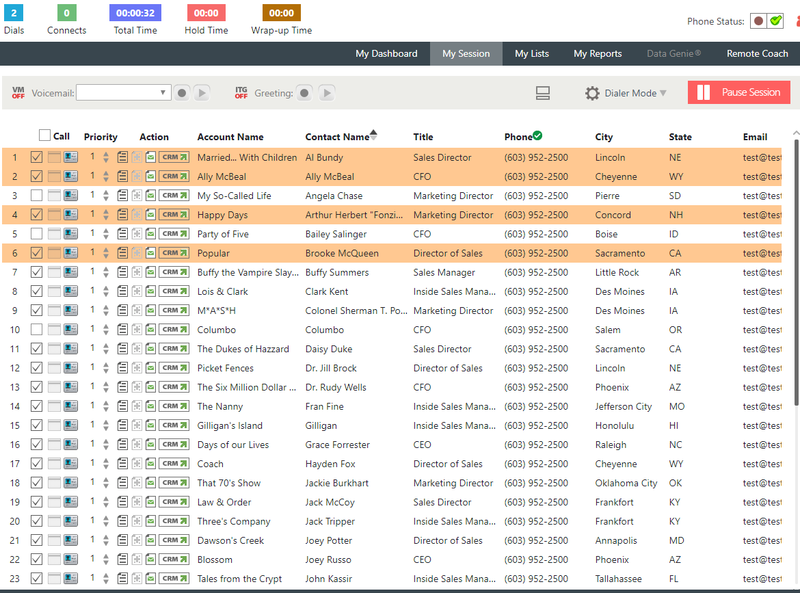 The software integrates with Zoho CRM, NetSuite, and more. Small, Medium and Large companies make use of the software. How much does ConnectLeader cost ? ConnectLeader provides a custom pricing for their software. "Converts cold calls into meetings fast!" ConnectLeader is the absolute easiest way to get prospects live on the phone. You can upload a list of contacts into the platform and a team of callers will navigate around phone trees, speak to receptionists on your behalf, and get past gate keepers to directly connect you to the person you are looking for, allowing you focus more on booking meetings instead of dialing all day. 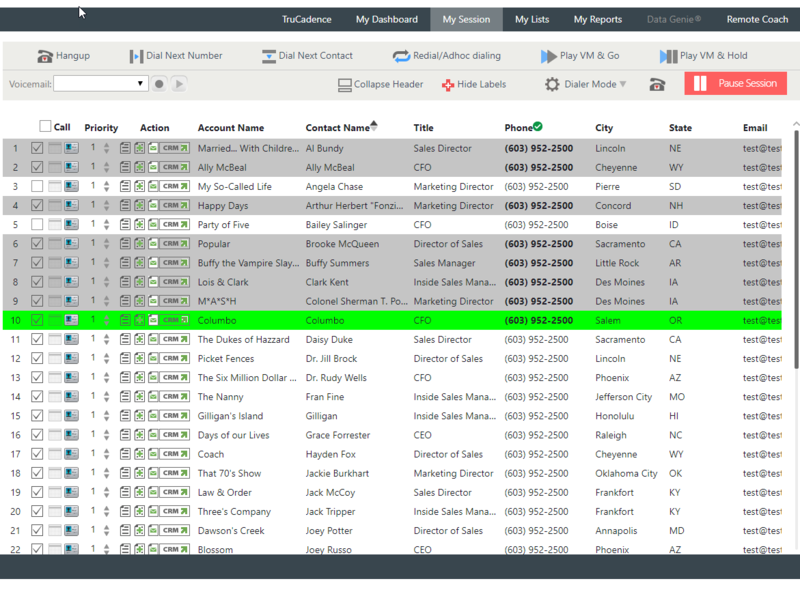 It can integrate directly with SFDC to help log your calls and basically automates your entire outbound call campaign. The platform can be quite expensive, so it really only makes sense to use with teams that are dialing 80-90% of the day, like an SDR team or outbound call center. Other than that, I loved using the tool. It makes it hard to go back to regular dialing! Our SDR team spent a significant amount of time manually dialing and sitting on the phone navigating phone trees. ConnectLeader helped accelerate the number of conversations we had per day, ultimately helping up book more meetings for our AEs and close more deals. "You'll be talking to a lot more prospects"
Numbers don't lie, and since using ConnectLeader I have definitely dialed more, spoken to more, and qualified more prospects than ever before. Occasionally I will be transferred to a voicemail or gatekeeper, but it's a rare occurrence, and even I have been fooled by someone's voicemail a few times. If you find your team is spending a lot of time making dials, this is a great tool. It also helps tremendously if you have a team that is call shy, you can see how long someone is logged in and going through their dials. Too much time is spent navigating gatekeepers and call trees. Instead of 30 phone calls in a day, I am getting through 30 phone calls in 15 minutes, often much less. "At first, I was not satisfied with ConnectLeader. It improved over time"
The sheer amount of dials you're able to make is certainly helpful. You're able to get through about 100-200 dials per hour depending on your list. It also randomly generates a number for you if you wish to dial that way. Unfortunately the browser itself is extremely inconsistent. You would be lucky to get through a list of 150 contacts without it crashing at least once. With a team of 15-20 associates dialing, that can cause major issues. The browser would crash and you would have to start from the beginning of your list each time, which just made dialing inefficient. I would try and get a demo trial from ConnectLeader before purchasing. Make sure that your entire team is able to get through their dials without the application freezing and crashing. The business problems that ConnectLeader solves are the amount of dials your reps make. Amount of dials have increased, as have amount of conversations. 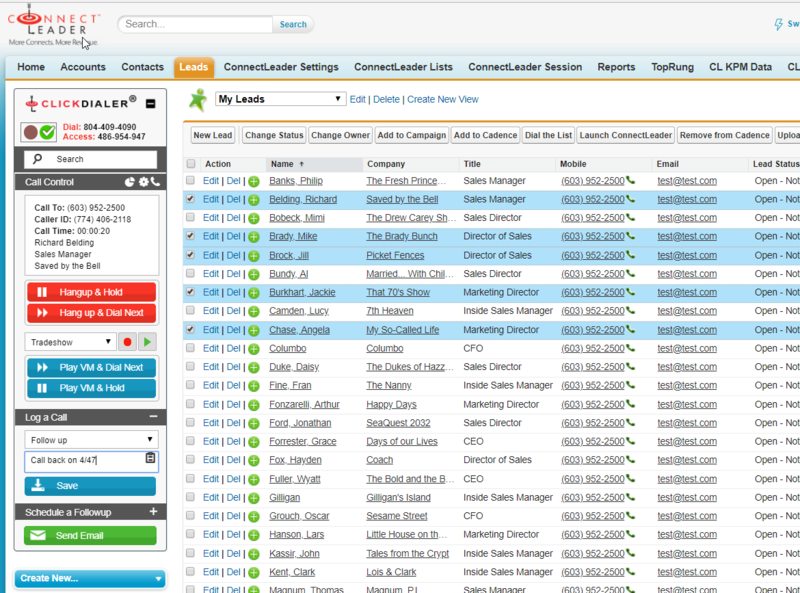 The functionality and support ConnectLeader offer. Any tool like this takes time to learn, so there's a curve there but it's not steep. We are trying to reach more contacts faster. We've seen a 4x increase in our hit rate simply because we've reduced the time dialing and are able to hit so many contacts so much faster. "Good to make calls within SF"
We have been using Connect Leader for a little while now. Using the team dialing service it has given us the ability to reach a large number of people in a short period of time. It is very user friendly and when you don't know something customer service is phenomenal. Krystina in customer service goes above and beyond to assist in any way possible....even sending screen shots to walk you through processes. When you reach out to her she answers usually within minutes. The sales person we work with is Rick Hussey. He is very knowledgeable of the product and works with you to understand the program that would work best for you! 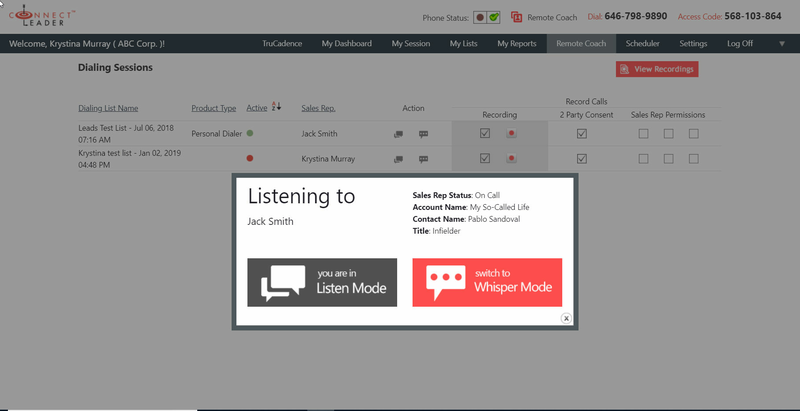 Several of our sales reps use the Personal Dialer and swear by it. It allows them to reach more people because it eliminates the tediousness of dialing each number manually. 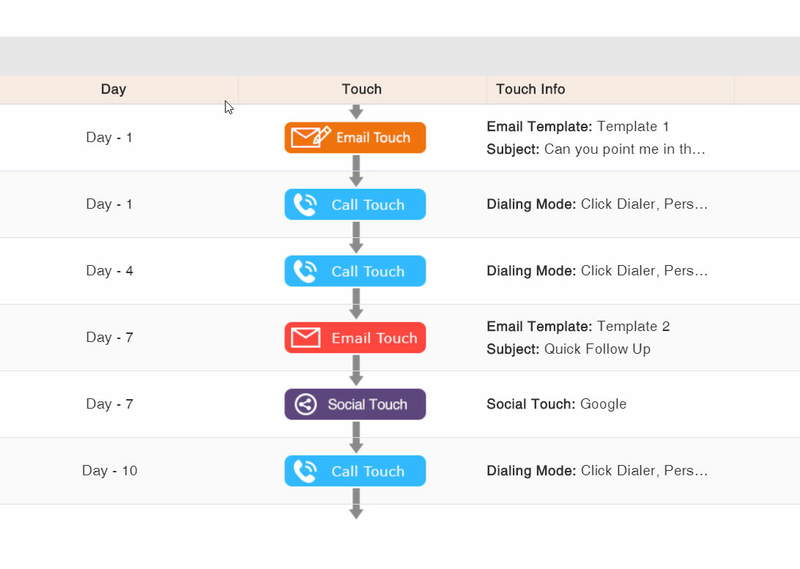 A sales rep can dial twice as many people in any said period of time using this feature. We highly recommend Connect Leader to anyone looking for a personal/team dialing service and also looking for a team who will be with you every step of the way! We dislike the fact that in order to change the voicemail using team dialer you have to log off then back on again. Also, you cannot turn the voicemail on mid use, you have to log off to do that too! We are able to reach so many more prospects than we ever have because of this took. The reports give you a way to track who is still at the company, no longer at the company, who has the wrong number etc. "Efficient Calling in a World Where Phone Engagement Just Gets Harder"
The only thing that I do not like is that there can be a slight lag between the time the person answers and when you are connected. Do you have a lot of people to reach out to? Do you want to make your inside sales lives more productive? Do you want to automate logging activities in Salesforce? 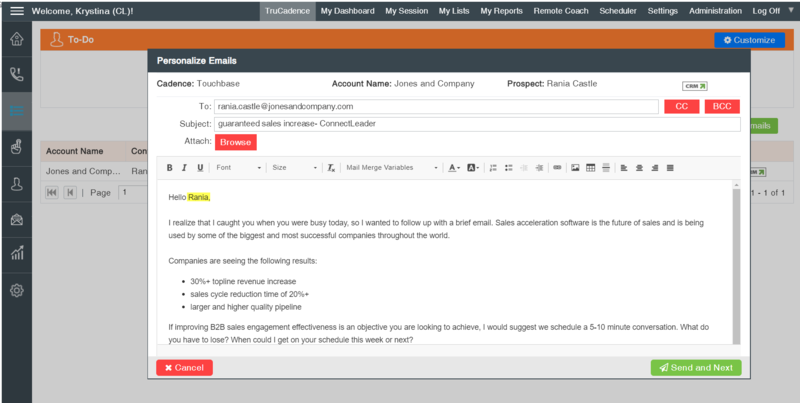 More efficient prospecting process and ability to make the best use of my time instead of manually dialing. The voicemail feature - pre-recording the voicemail was not easy. Also had to make sure that you selected the proper voicemail greeting that you wanted to leave. The ability to run through a list without dialing a single number was nice. You could input notes about each call as well as set next step tasks...all of which was then pushed back into SFDC.